Our final total raised from the sponsored walk was £459. (I thought we had raised just over 500 but I’d written down a £50 donation twice when doing my sums: sorry !) This is a really great total. Well done everybody! DASH wishes the pupils at Ysgol Gyfun, Aberaeron well in their fundraising car wash on March 31st. Hope you raise lots and lots of money. Especially as it is for us. We are writing to give you as much notice as possible that we will be making an essential increase to DASH contribution rates that include those for the holiday Playschemes and Activity Days. This will take effect for the summer 2017 holiday schemes and not before. The planned increase will mean the daily rate for playschemes rises from £10 to £12 for each child. Activity Days will increase at the same time from £10 – 15 to £12 – £18 (depending on the activity). It should be noted that free transport remains thanks to continued BBC Children in Need Funding. Increases are also planned for other DASH schemes but families will be advised of this in due course. The decision to increase the amount we ask from you has not been taken lightly. The actual cost of running a DASH playscheme is £102 per day for each child that attends so as you can see it is still offered at a greatly reduced price even with the increase. Activity Day actual costs are much the same. Should you find these planned increases make DASH schemes unaffordable for your child please contact your key worker at TPA or Jo Kennaugh at DASH do@dashceredigion.org.uk for advice and support. It is our intention to keep the price fixed at the new rate for as long as possible although we are unable to guarantee this in the current economic climate. DASH strives to maintain the schemes we offer at current levels. To avoid reductions we need to actively fundraise and you may be able to help. As a charity DASH has been organising leisure opportunities for disabled children and young people in Ceredigion since 1978 – celebrating a 40th birthday next year! Time and time again parents and carers tell us “what a lifeline” DASH is for them. 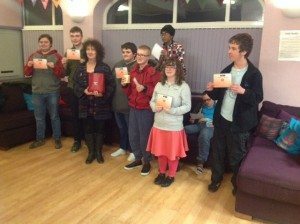 At DASH we know how important it is for parents and carers to have valuable time to recharge batteries, as much as it is for the disabled children and young people to get time of their own for personal, social and creative development. Also, we are planning to launch a “my donate” programme for DASH where individuals and companies can make a regular or one-off donation . Details will be available on all DASH e- mails and on our website as soon as arrangements are in place.